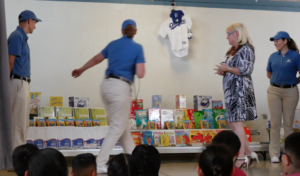 The month of May was a busy time for the Guys in Blue, and they kicked it all off by celebrating deserving teachers during Teacher Appreciation week. Sound helpful? It gets better! 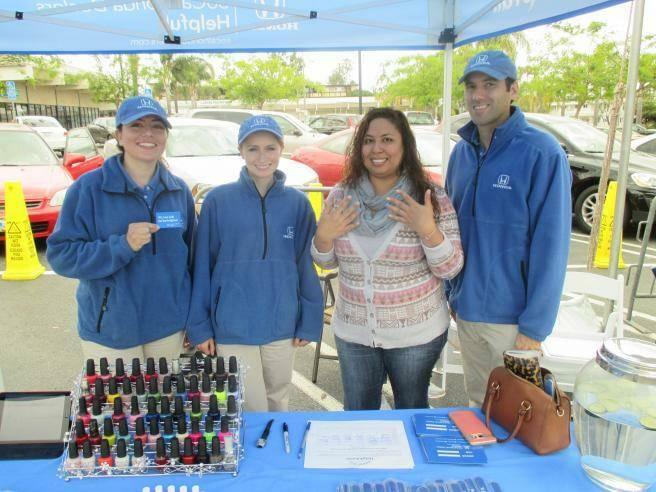 The SoCal Honda Guys wanted to show our gratitude for mothers across the southland, so we set up our very own Helpful Honda Pop-Up Spas and surprised moms with a well-deserved treat: complimentary manicures and massages! As one mom put it, “I’m over here getting my Mother’s Day pampering a la Honda!” We couldn’t have said it better ourselves. The Helpful Honda Guys set up their Helpful Spas outside local Vons stores in La Habra, Torrance, Glendale, and Upland over Mother’s Day weekend, May 7th and 8th. 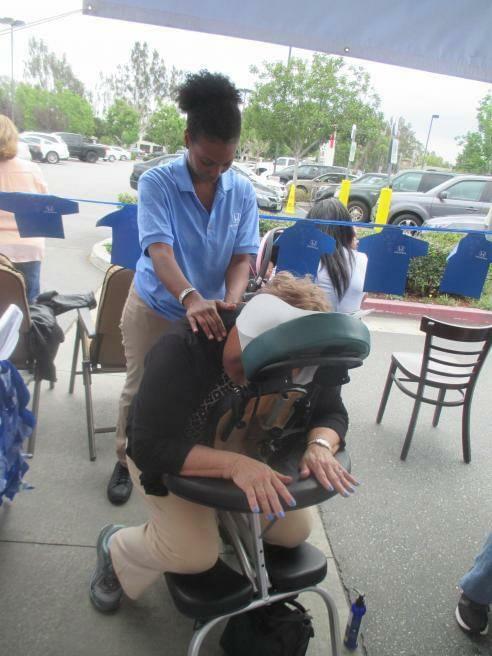 Unsuspecting moms out shopping were greeted by the Guys in Blue and indulged with a special spa treatment, “I really needed that massage! It was amazing! It was the best massage and it was free! 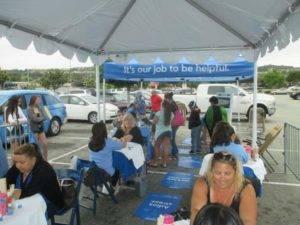 Thanks Honda!” Not only did we have masseuses, manicurists, and refreshing cucumber water at the ready, but also the Guys in Blue gave out complimentary nail files, Honda-blue polish, and bath salts for some take-home pampering. A photo booth was also available for families to document their Mother’s Day memories. After the excitement (and helpfulness!) of Teacher Appreciation week and Mother’s Day, the SoCal Honda Dealers are ready for their next Random Act of Helpfulness! So, what’s next? 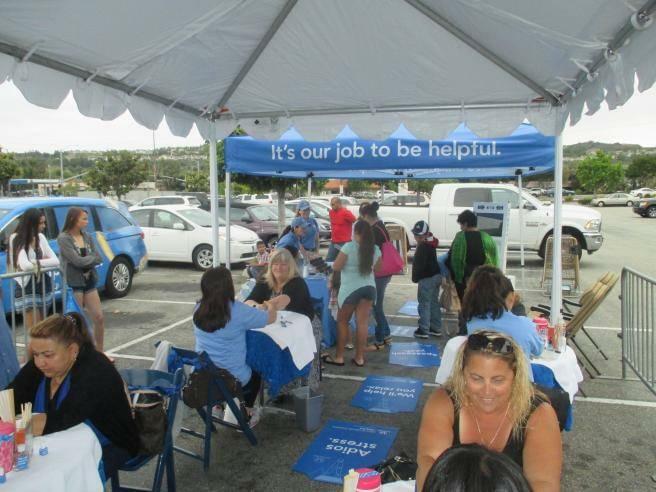 Father’s Day weekend is coming up on June 18th and 19th, and for the first time ever SoCal Honda will be hosting Helpful Honda Pop-Up Shaves for dads! Throughout the weekend dads will be surprised at local parks or gyms with free straight razor shaves. Think of it as the ultimate facial for men! We are always looking for ways to be helpful, so we invite you to share your story here. To learn more about Random Acts of Helpfulness, ‘Like’ us on Facebook at facebook.com/socalhondadealers, follow us on Twitter @HelpfulHonda and find us on Instagram @socalhondadealers.